Vein-Tap presents its new pedal, enticingly called the Dark Arts Tap Tempo Phaser This is an all-analogue effect designed and built in Plymouth, UK. One thing we liked straight away was the serious amount of control crammed into its small casing. 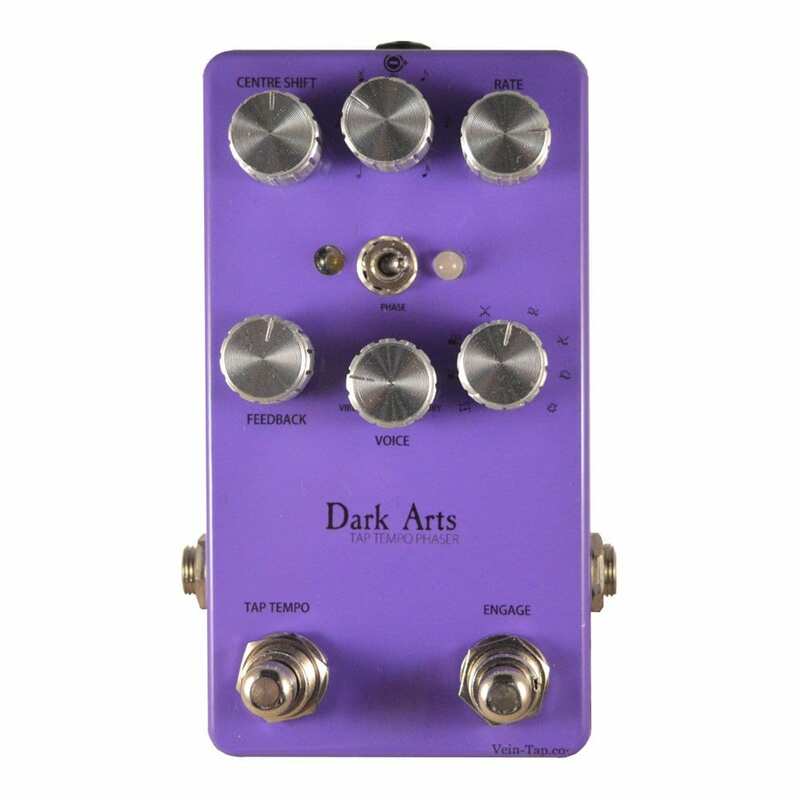 Straight off the bat, the first thing that makes the Dark Arts pedal a little unusual is the tap-tempo feature, setting it apart from most phaser pedals. 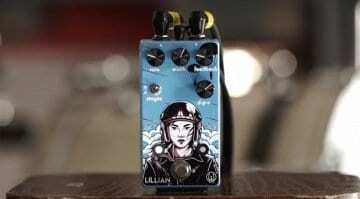 It has sixteen wave shapes that allow you to create all manner of phase and tremolo effects; the Wave Set switch selects on of two banks of eight eight waveforms. You then modify each wave shape even further with the Centre Shift knob, making this a seriously tweakable pedal. What is also a big feature is the tap-tempo facility. The Rate control is used to set the Dark Arts’ phase speed. Tapping the left side footswitch overrides the Rate control, so you can get your patterns in time with your beat. 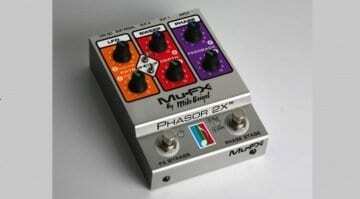 The Multiplier control allows you to change the ratio of the tapped tempo. It can do half, full, dotted eighth, double, triple and quadruple times, making this a pretty flexible effect. The flashing LED shows you the rate of your custom phase wave, flashing red when the effect is bypassed and yellow when activated. The Voice control knob blends in the wet signal, going from a vibrato-like effect on the left when set to 100% wet through to a more traditional phase in the centre setting or even a subtler phase sound when set towards the Dry side. 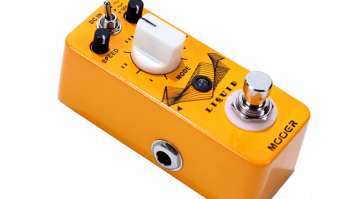 Last up is the Feedback control, which is used to feed the phase tone back into itself, creating weird oscillations to modulate your phase with. 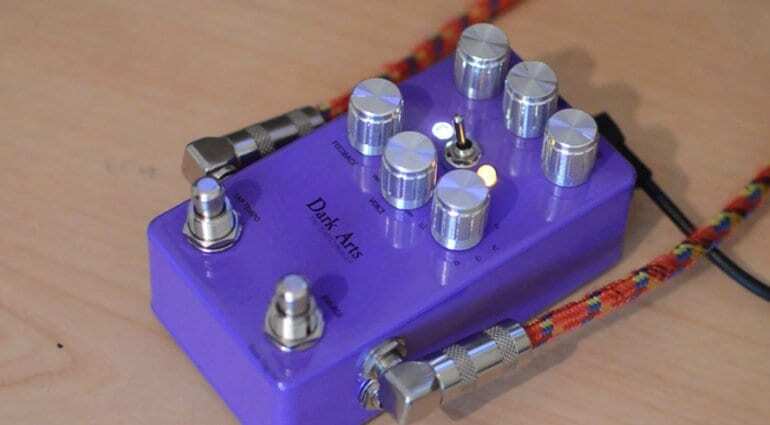 The Dark Arts phaser uses soft-touch and true-bypass footswitches. There’s plenty to like here. 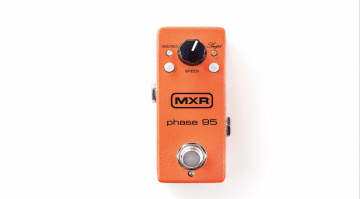 Combined with those sixteen waves, all those features will should get you plenty of useful phase tones. RRP – GBP 149.95 but currently with GBP 129.95 special pre-order pricing. Shipping is slated for 11 March 2019.